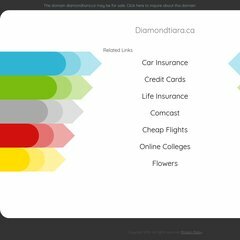 Diamondtiara is ranked 1,748,864 in Canada. It is hosted by Bodis Llc (New York, New York City,) using Microsoft-IIS/7 web server. ns1.bodis.com, & ns2.bodis.com are its DNS Nameservers. Diamondtiara.ca's server IP number is 199.59.241.181. PING www. (199.59.241.181) 56(84) bytes of data.